Tomorrow, Saturday, April 26th, Newport Storm and Pour Judgement Bar and Grill are sponsoring the 3rd Annual Newport Craft Beer Festival to benefit the Rhode Island Brewers Guild and Newport Historical Society. There will be two sessions, one from 12pm to 3pm and the second from 4pm to 7pm at the Great Friends Meeting House. This is a 21 and over event. 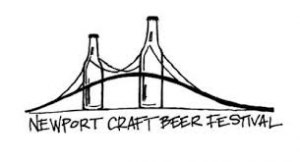 This festival is a celebration of Newport’s brewing history, which dates back to before the American Revolution. Brewers from all over the country will have samples of a variety of different craft beers for attendees to try. Food from local restaurants will be available for purchase, and music will be going throughout the event. It’s a great opportunity to mingle with American Brewers and try a great selection of craft beers. Some of the brewing companies that will be in attendance are: Newport Storm, Union Station Brewering, Grey Sail Brewing of Rhode Island, Revival Brewing, Bucket Brewery, Sebago Brewing Company, Woodstock Inn Brewery, Stone Brewing Co., Lagunitas Brewing Co., Green Flash, Lexington Brewing Co., Harpoon Brewery, Sixpoint Brewery, Boulder Brewing Co., Clown Shoes, Goose Island, Heavy Seas, and many more. Tickets are available until the sell out. They can be purchased here through tonight, or at the event tomorrow, again, until they are sold out.